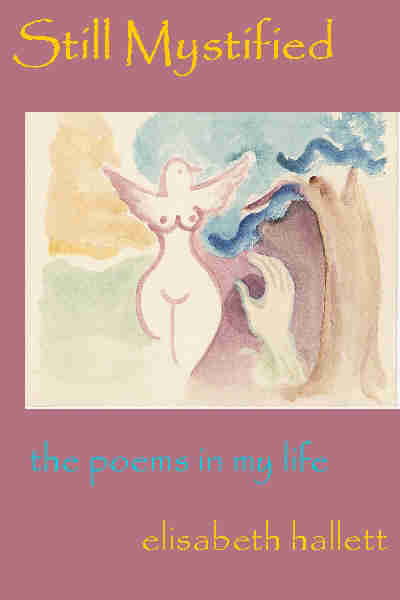 I am so happy to be able to share my poetry in Still Mystified: The Poems in my Life. no need of her warrior's will. Like my other books, it is also carried by Amazon.com, BarnesandNoble.com and Booksamillion.com, or you can request it through your favorite local bookstore. I am wonderfully honored to have one of my poems selected for the printed anthology, Poets Against the War! This anthology includes poems from the best known American poets as well as unknowns like myself, chosen from the approximately 13,000 poems submitted to the site. It is from Amazon.com and other online sources, and bookstores everywhere.